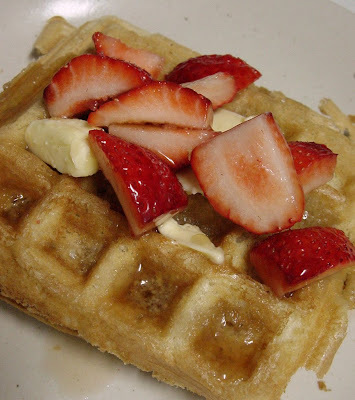 Belgian Waffles With Strawberries. New Year's Day, 2006. Am hungry. Hungry hungry hungry. May wake up Kyle and her girlfriends, head to the diner and eat EVERYTHING. What's your food situation like, hmmmm?